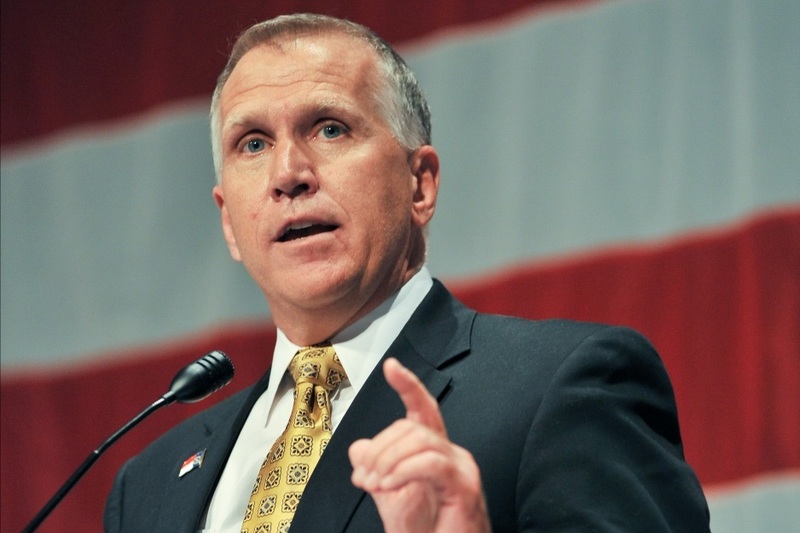 Thom Tillis will be the Republican nominee for U.S. Senate in North Carolina. Tillis is the presumptive nominee because the only contender who could possibly have beaten him has been vanquished. The Brannon campaign will go on, yes, but he no longer has a chance to win the nomination. Integrity cuts across ideological lines, and Brannon’s is now seriously in question after this week’s verdict Regardless of whether or not Brannon actually misled investors, the sting of the jury verdict will sink his campaign. Brannon could win on appeal, but vindication will not come before the May primary. Without this vindication, Brannon cannot be the Republican nominee. But how different things would have been had the jury gone the other way! Indeed, before the jury verdict, Dr. Brannon had a very plausible path to the Republican nomination – a fact never given credence by state or national media. At the very least, Brannon would have given Tillis a run for his money, and quite literally as he would have forced the Speaker into an expensive and bitter runoff. A Brannon/Tillis runoff would have significantly damaged the GOP’s chances of winning back the Senate seat. Back in January, 2013, I wrote that Dr. Brannon is not to be underestimated. That pronouncement still holds. Believe it or not, a runoff between Tillis and Brannon is still within the realm of possibility. Brannon’s supporters are passionate and will not let a jury ruling upset the apple cart. He, along with Mark Harris and Heather Grant, will vie for second place in the runoff. But even though Brannon isn’t dead, he is wounded and will have to struggle to expand his support beyond conservative blog commentators on the Internet. Brannon probably won’t lose much support. But he’s unlikely to gain any either, and that’s why Thom Tillis is heavily favored to be the Republican nominee.